Ema Remedi was born in Uruguay and started sneaking into clubs at an early age. In time, her passion for music developed into gigs delivered in appraised underground parties in Montevideo. Travelling and discovering different cultures made her move to Berlin in 2012, where she settled and dedicated more time to mixing and exploring music production. With gigs all around Europe and South America and with releases on labels like Sketches, Loosen Up, Piros, Pulse Recordings, Interpret, Arms & Legs, Savor Music and Unlock Recordings, she proves to be a versatile artist. Crafting her own distinct sound for over a decade, she brings forward a vibrant blend of playful techno rhythms, as well as deep minimalistic cuts and exotic sequencing. In Berlin, she enjoys a summer residency at Club der Visionaere alongside Ernesto Ferreyra and regularly plays groovy sessions at Golden Gate, Kater Blau, Sisyphos and Hoppetosse. Ema Remedi is also a creative graphic designer working on music-related projects like artworks for vinyl album covers and party or festival flyers and posters. On 17th June, we had the pleasure to hold a live broadcast from Cluj-Napoca where Oana held a showcase for her label, Ariki Records. For this special occasion, we sat down for a lovely meal with the headliner of the night, Ema Remedi, having the pleasure to discover the beautiful human being behind the name. f: Hi Ema, lovely to meet you. We see Berlin caught you up strong in its branches. How was the move from Uruguay to Europe – Berlin? From your view, what’s the significant difference between the two continents when it comes to electronic music and art in general and what made you take this step? Ema: Hey Adrian, first of all, thank you for the invite! Absolutely. I’ve been living in Berlin for over six years now, and I’m happy to call it my home. I am so grateful to have the chance of choosing where I want to live. Well, South America is not exactly around the corner, so packing up your life in a suitcase and starting over again 11.300 kilometres away is not an easy task. But since the very beginning, I’ve felt that Berlin was the place I wanted to live. Like-minded people, the sense of freedom in general, the creativity present in so many ways, and of course the music. The possibility to hear so many djs playing at amazing venues all year long – big names and new ones are an infinite source of inspiration. That was, in fact, one of the reasons that made me take this step – imagine that back in 2012 when I left Uruguay it was a big achievement to round up five hundred people for a party. Nowadays it has become a little underground hub and there’s a lot of interesting stuff going on. I go back two or three times a year to play there and it always surprises me. f: We saw that Uruguay is the 1st country in South America when it comes to freedom of the press, weed legalisation, etc. Having said that, could you tell us more about you, being raised there in such an environment? Ema: Exactly, Uruguay has always been an avant-garde and forward-thinking country in South America. The civil rights law for women dates from 1946, and this was quite revolutionary at that time. As for myself, although I did spend a few years growing up in Montevideo, I lived most of my childhood and teen years in London and Prague, because of my father’s job. I was raised in these three different environments, moving every few years, which was quite stressful as a child, but also gave me valuable lifetime experiences and the opportunity to get familiarized with a wide range of cultural and social backgrounds, opening my mind and influencing me in many positive ways. f: What inspired you the follow the music road? Any influence from your family members? A little bird told us that your father is a music fan as well. How much support are you getting from your parents? Ema: My dad has been improvising on his guitar for as long as I can remember, accompanying Santana songs with his congas or with one of his self-made bass cajons. I started sneaking into underground clubs in Montevideo at a very young age and when I first visited the legendary Milenio (which we locals used to call “el templo” –the temple) the powerful energy present in the crowd really caught me. So it didn’t take much time for me to start djing and playing at underground parties. Both my parents are supportive of my career as an artist: they know music is my true passion and are simply happy because I am doing what I love. 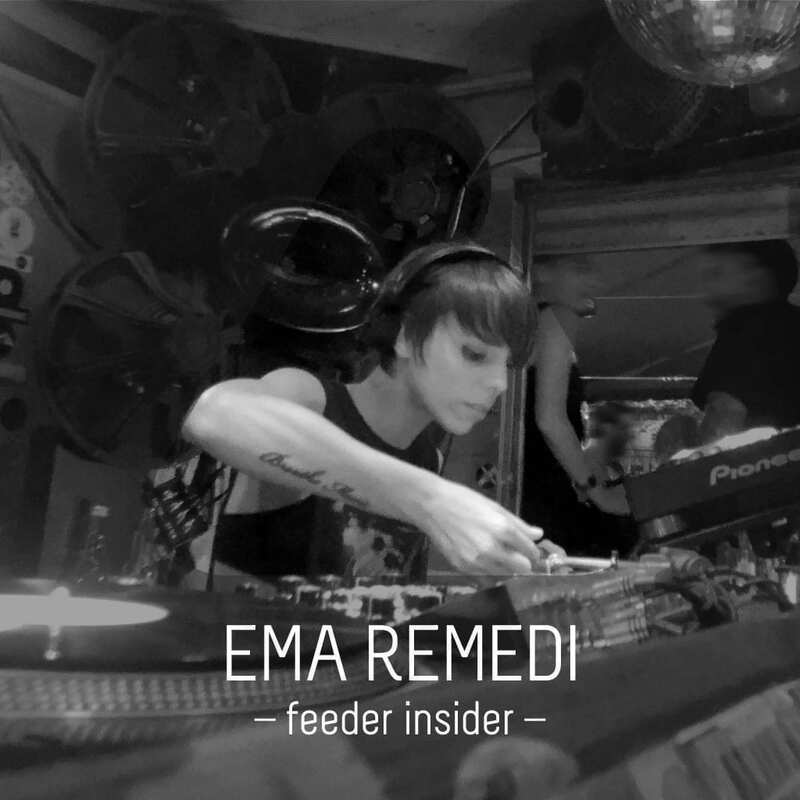 f: We had a listen to your latest release on Loosen Up, what’s next for Ema Remedi? Ema: Next up is my EP “Watercolour Dreams” on Sketches Records, which will be released in September. I am extremely happy about this one as Sketches is one of my favourite labels and on top of that, I got a classy and groovy remix by Losoul! Also next is an edit on Interpret, a split EP on Rovas (sub-label from Savor Music) and some collaborations: one for Pulse Recordings (the result of a very nice Uruguayan project of which I am a curator), one for Aurea and another one for Ottavia Records. A couple of remixes are also on the way. I’m excited about having these records cut and am really looking forward to playing them out! f: Can you tell us more how you produce your sound – do you have your studio? Do you test your tracks on the crowd before releasing? Ema: I have a small home studio which I have been gradually expanding over the years. My setup is hybrid: I use both hardware and software and I try to get the best out of each one. For me, the key in the studio is to have fun, regardless of the medium. It’s important that my mind is in a playful state and that I’m not thinking about the actual process of making music, but just flowing with the frequencies. I think the mind is not needed in the creative process and that it tends to get in the way. So the less you use it, the better. No thinking, just feeling. I try my tracks out a lot of times before releasing them, sometimes even across a period of months. It’s important to get the mix as best as possible and in order to achieve that you have to listen to them through all different kinds of speakers and situations to get a general idea of how they sound. The creative process can be surprisingly quick compared to the mixing part, which in some cases can take up a lot of time. f: How do you transform your feelings and personal vibration into sound harmony and what are the main elements that trigger your connection with the crowd while performing? Ema: The transformation of feelings into sound is, at least for me, something that does not happen at a conscious level. We are human beings who inevitably carry around our own personal emotional baggage, and this is reflected in one way or another when we perform. I would say that there are certain things about the actual setup of a club that can help you maintain a connection with the crowd. For example, keeping the booth at ground level (so you can see the crowd), or avoiding direct spotlights on the booth (which isolates the dj). Every crowd and each party is unique, it’s exciting to try to understand what is going on in the dance floor and help connect the dots not only between you and them but also between them, strengthening that bond and sense of community which is generated from dancing. f: We saw that you’re passionate about graphic design and helped out with some vinyl cover artworks. What else hides behind the life of Ema as a DJ/producer? Ema: You did your homework, didn’t you? Hahaha. Yes, I am a graphic designer. I went to University back in Uruguay and have been working as a freelancer since then. I especially enjoy working on projects which overlap with music somehow, like designing vinyl album covers as you mentioned, or logos, posters, flyers and other printed materials for parties and festivals. For me graphic design is a restricted art: its creativity is limited to the specific message you need or intend to communicate. That’s why I enjoy making music so much; it’s when I get to be completely free. 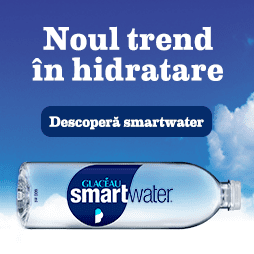 f: First timer to Romania? How do you find the country and the people? Any favourite Romanian producers? Ema: First time, yes! I was very curious, and I’m enjoying my stay here, I find you guys are very warm-hearted people, and I’m already looking forward to playing here again. It’s very hard to pick only a few producers; there are so many that I like. 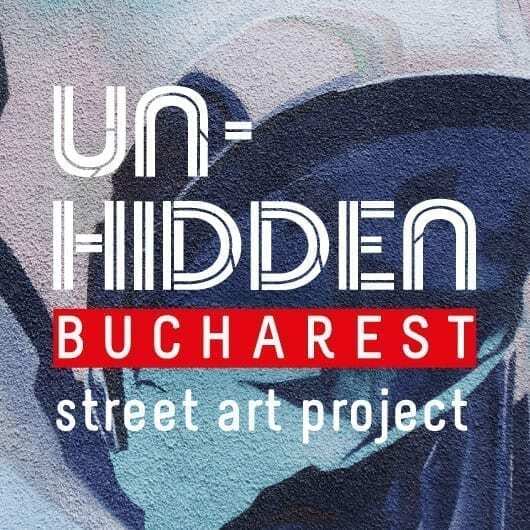 But just for the sake of it, here are a few: Vlad Caia, Priku, Vid, [a:rpia:r] guys, Vinyl Speed Adjust, Cristi Cons, Arapu, Dan Andrei, Funk E, Livio & Roby. f: Playing at Cocoon & Sonar in the past, what’s next on your map? Ema: Up next are our Loosen Up parties at Club der Visionäre. Last year my friend Ernesto Ferreyra, who has always trusted my music and given me strong support, invited me to co-host his summer parties and it’s been an absolute pleasure to welcome dj friends at CdV with whom we feel a deep musical connection. We’re hosting three more events this season until September and I couldn’t be happier with how they’re all turning out. In October I’m travelling to South America for a few gigs. First stop is Avant Garten in Buenos Aires with the guys from La Montaña, a super nice artist collective and record store in Rosario, Argentina. Second stop is the Warehouse in Montevideo – an impressive costume party which has been happening for years and where I’m looking forward to meeting many friends. The final stop is at D-Edge in São Paulo. I am especially excited about this last one as it’s my first time playing at the club and I’m very intrigued. f: GoldenGate or Club der Visionäre? We see you’re actively performing at these specific two venues. Ema: Each venue has its own personality and charm. In my opinion Golden Gate remains as one of the most true underground clubs in Berlin, where the crowd is very diverse and has only one thing in mind: to party and have a good time, which makes djing there a lot of fun. Club der Visionäre has a unique and very special vibe. The intimate atmosphere and the fact that you can play there for hours, telling your story without feeling the pressure of a big crowd, makes it my favourite place to play. Also the different areas of the club, which are continuously being re-thought and rebuilt, reflect the creativity of a hard working crew transforming it into a magical place where people enjoy themselves so much that they forget to go home! Hahaha. f: Vegan or meat lover? if you could save the animals from being killed, drastically improve the environment by reducing your carbon footprint up to 70% and even your own health with one single action, why wouldn’t you? I truly love animals and this is why I want all of them to be free and to live the life they deserve. f: You know at feeder.ro we’re celebrating 14 years of existence this year, having said that, how important is for you the online presence and how often & through what mediums do you keep in touch with your followers?